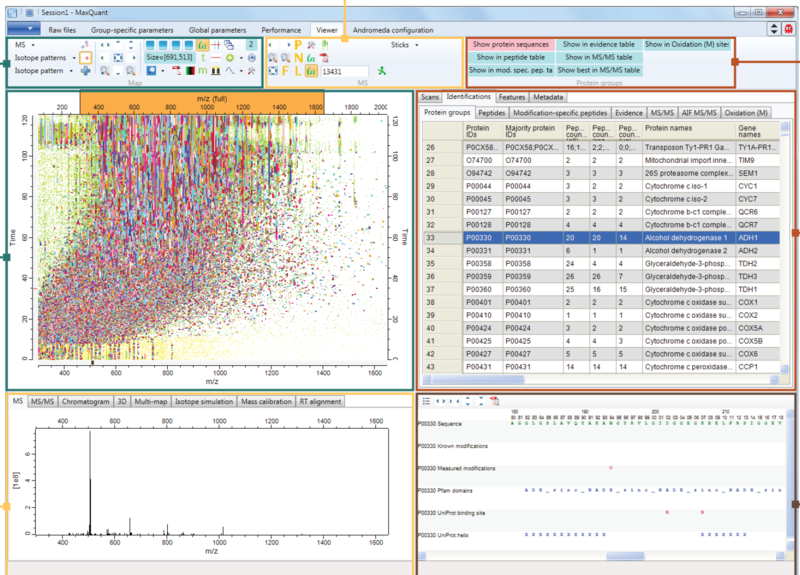 MaxQuant is a quantitative proteomics software package designed for analyzing large mass-spectrometric data sets. It is specifically aimed at high-resolution MS data. Several labeling techniques as well as label-free quantification are supported. MaxQuant is freely available and can be downloaded from this site. The download includes the search engine andromeda, which is integrated into MaxQuant as well as the viewer application for inspection of raw data and identification and quantification results. For statistical analysis of MaxQuant output, we offer the Perseus framework.